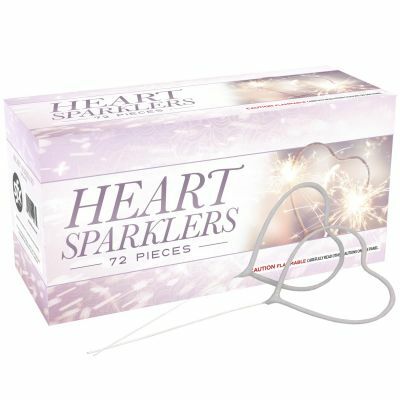 Because of the shorter burn time, we recommend at least 2 Heart Sparklers per guest, when using at a wedding. 96.6% of respondents would recommend this to a friend. This was a huge hit at our son's outdoor wedding! This was a huge hit at our son's outdoor wedding! These were one of the highlights of our son's wedding after the sun went down and we got the firepits and s'mores going. 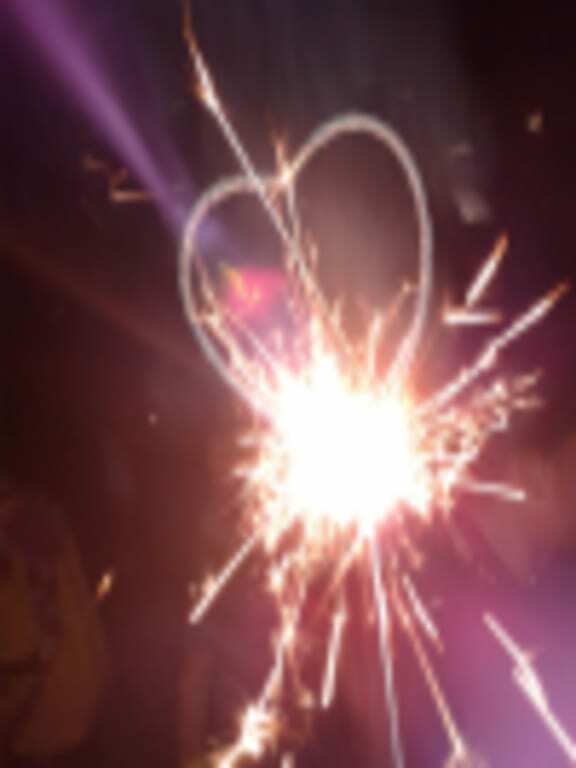 I can't wait to see the photographer's pics of my son bending his new bride over backwards with a kiss in the middle of these heart sparklers! It was breath-taking and so much fun - I ordered enough for each person to have 2-3. These arrived very quickly and were exactly as described - I would recommend. Used at daughters wedding in November. Loved the experience and also the pics! Got these for our wedding and they were great! Nice shape. Burned well. Everyone loved it! Yes, they were deliver very promptly. My family and I LOVED the sparklers, it looked amazing at my brothers wedding. Thanks to the sparklers, he got to live through the wedding experience he always wanted. Everyone was amazed with the sparklers and it was just a beautiful detail for the wedding. Thank you! I did find that some of the heart chipped easily but they were still great! Great hit at the wedding. Thankfully, I tested them prior to the day. I had to plan for the extra lighters and let people know how difficult they are to light. I recommend it only if you arent needing them to all be lit at the exact same moment. Merchant Response: This is great feedback, and we can offer some help for others considering this product. Sparklers can take a little time to get lit, which is why we recommend using wind-resistant, torch-style lighters for best results. 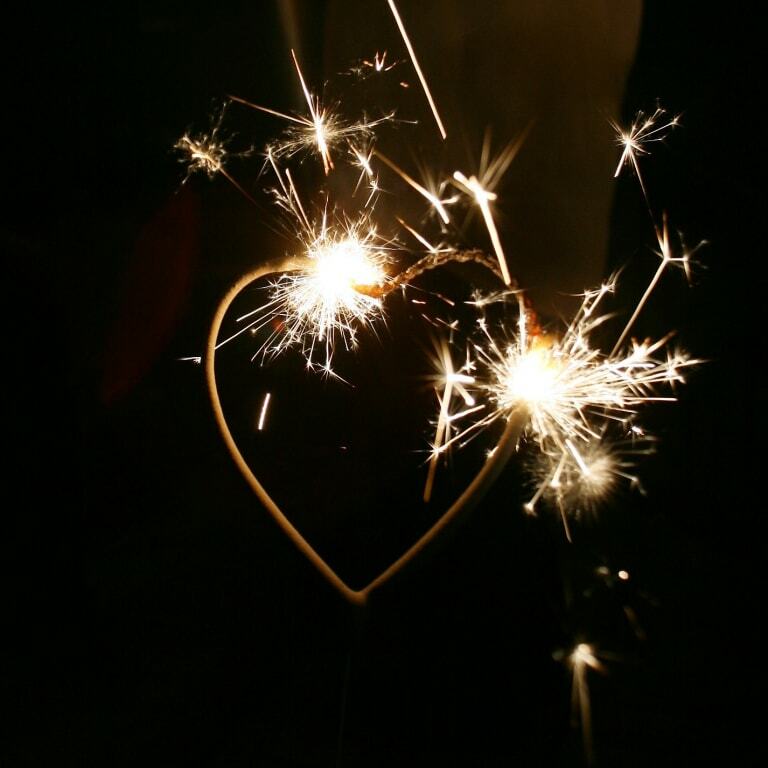 Then, once the first sparkler is lit, it can be used to light several other sparklers very quickly. For larger events, you can pass out several lighters and have people light off each other in smaller groups. Organizing this way enables you to light a lot of sparklers at the same time. I received the boxes a little damaged. Not sure if it was the carrier or the company itself.. They also had a very distinct smell (they are sparklers so I suppose that's normal). Otherwise, they look great! We haven't used them yet, but plan to use them as a "sparkler exit" for our reception. Hopefully they work great! As I said above, the boxes were damaged. Not sure who's fault that was, but the sparklers seemed to be okay, and were all wrapped inside the boxes so hopefully they work. 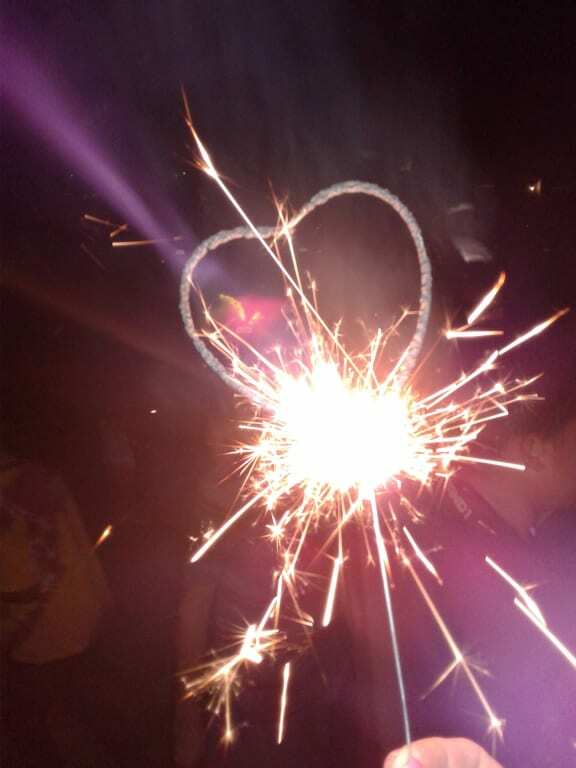 Merchant Response: We appreciate this feedback and are glad to hear that the sparklers arrived in good condition even though the outer package wasn't in great shape. Damage does occur sometimes, so we always want to know about it as soon as possible so we can provide replacements if needed. Not happy. Bought these for a send off for a wedding reception. We could not get the sparklers to work. These will be for my sons wedding. Product just as described. Used for our wedding exit, they worked perfectly. They lasted long enough for us to make it through the line without burning for too long after. Used this outside at my reception for pictures. They were beautiful! So fun!